Amazon CEO Jeff Bezos recently spoke in an interview in Berlin about what he's learned from the challenges his company has faced and how he deals with criticism. Amazon has faced scrutiny about everything from product features to wages, and most recently dealt with some strong opinions about its business practices from President Trump. Bezos says that there are two kinds of critics, and that the key is always to "look in a mirror and decide, are your critics right? If they're right, change. Don't resist." Jeff Bezos has faced his fair share of criticism ever since he launched Amazon as an online bookseller in 1994, competing with the likes of Barnes & Noble, and he's since created a strategy for dealing with harsh feedback. 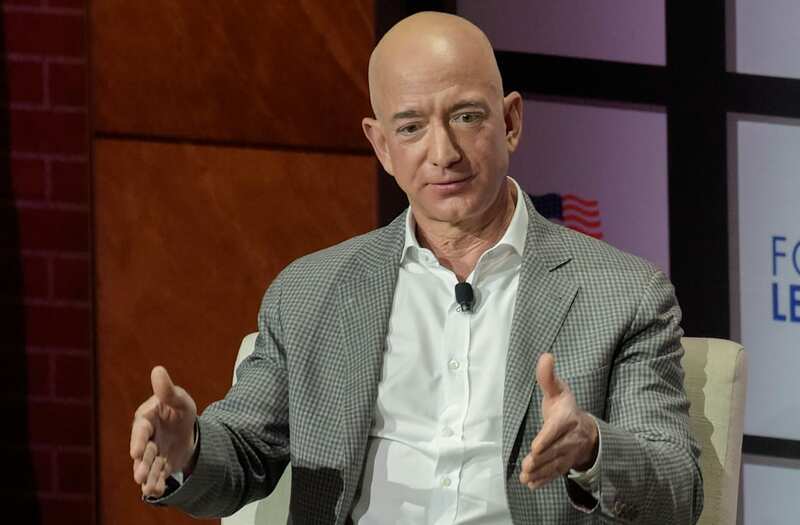 "At that time all of the headlines ... the funniest were about how we were about to be destroyed by this much larger company," Bezos said in an interview with Axel Springer CEO Mathias Döpfner at a recent awards event in Berlin. The headlines about Amazon getting destroyed didn't turn out to be true, of course. In the past eight years alone, Amazon added 530,000 employees and is now one of the most valuable companies. But that kind of rapid growth also opened Bezos and the e-commerce giant up to scrutiny from consumers, unions, and even the president of the United States. Throughout it all, Bezos says his approach to criticism and what he preaches to Amazon employees has been this: "When you're criticized, first look in a mirror and decide, are your critics right? If they're right, change. Don't resist." He expanded on that to say that there are two kinds of critics: the well-meaning ones and the self-interested ones. When these critics share feedback, a focus on what can actually be controlled and what's in the best interest of the customer makes it easier to tease the two apart. When the Kindle launched, for example, the novel "1984" was taken off the digital e-readers by Amazon in the middle of the night because of copyright issues, but no notice was given to consumers. In retrospect, Bezos believes that was the wrong move. When it comes to the unions who argue that Amazon doesn't pay its employees well enough, though, Bezos says he believes that his company has good communication with its workers and doesn't need a union to be an intermediary. Bezos says the company and its executives "would be very naïve" to think that Amazon wouldn't be criticized, and that he welcomes scrutiny from the government now that Amazon is a large corporation, because it's something he knows comes with the territory. "If you're going to do anything new or innovative, you have to be willing to be misunderstood. If you cannot afford to be misunderstood then for goodness' sake, don't do anything new or innovative." You can read — or watch — the full interview with Bezos right here.